Superb Rose Cut Diamond and Sapphire Cluster Ring [SH7639] - £1,650.00 : loveVintageDiamonds.com, Your Vintage Diamond Dreams Come True! This cluster ring is simply gorgeous! The centre stone is an oval, deep blue, sapphire measuring approx. 9 x 6.25mms. 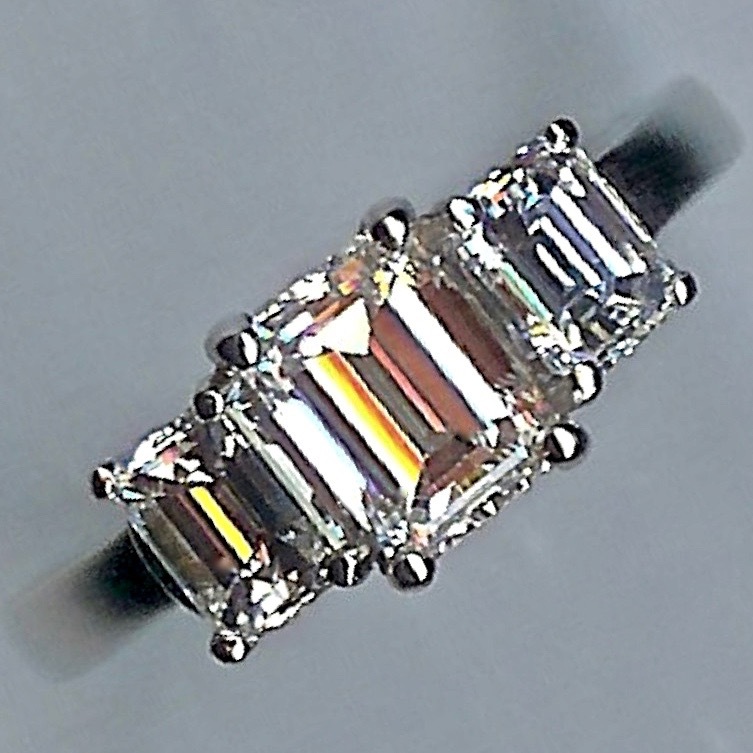 It is set into a charming mille-grain edged collet-setting, and surrounded by fourteen old rose-cut diamonds. Each of the diamonds is set into a part-claw, part collet-setting, and again with mille-grain edging, in an oval on the inside, and with a beautiful scalloped-edge around the outside of all the stones. Each of these diamonds weighs approx. 0.04-0.05cts. There are an additional four small diamonds set into each shoulder of the shank, therefore bringing the total weight of all the diamonds in this ring to no less than approx. 0.69cts. 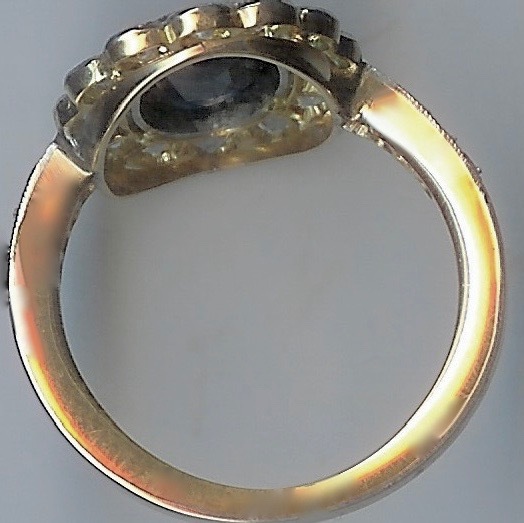 The under-bezel and inside of the shank are yellow throughout, whilst the ring appears from the surface to be white throughout. Indeed, it was very typical during the period that this ring dates to, approx. 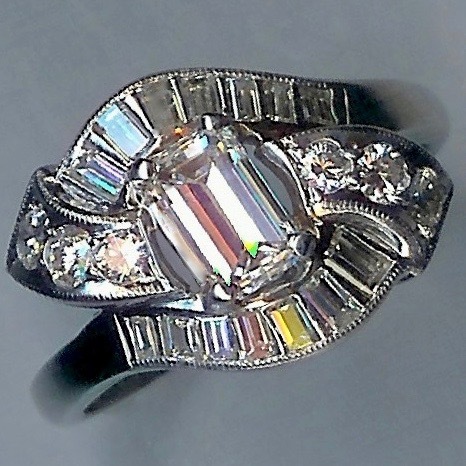 1920s/ 1930s, to face 18ct yellow with platinum, which is almost certainly the case with this ring. The overall weight of the ring is approx. 4.4gms. It currently fits finger size 'M' (UK).